Great place for a family dinner: very approachable menu, and excellent service, bar, food, and wine quality. We had a great time! Luce was a cute, vibrant neighborhood restaurant with decent seasonal Italian fare. I found it a bit expensive for the quality (decent but not incredible). Awesome dinner and service. Every dish was wonderful. Finally a great menu in this location! Super tasty appetizers, great main (swordfish). Friendly, efficient, knowledgeable service. A neighborhood gem! Italian has always been a choice, and now there seem to be more and more of them, even ones claiming a 'fusion' italian menu. 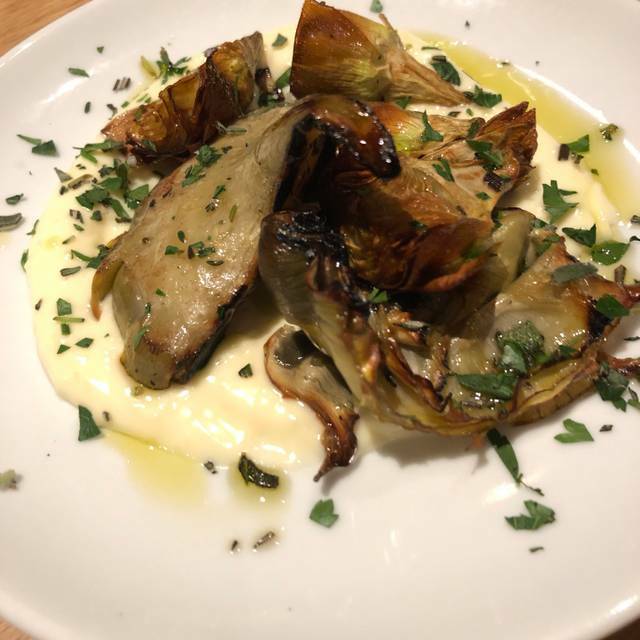 Luce (loo-cheh or loose, take your pick) avoids the italianesque 1/2/3 of the standard dogma, but still offers a pasta list and an entree list and a pizza list and a starter list. Our party avoided the pizza, mostly because only I am the pizza fan, and I've got a very narrow pizza boundary- has to have pepperoni and mushroom, has to have a red sauce, and has to have mozzarella. They didn't have that. So you'll have to let us know how the pizza is. There is no wood stove here anymore (a la Shephard, RIP)- the NIMBY neighbors won that battle. Not particularly impressed with the decor change from that establishment, and don't we all still miss Chez Henri? (Amusingly enough, our dessert came to us on an old Chez Henri plate. Homage vraiment.) Good wine list, although nothing easily affordable. We went with a $52 2017 Barbera D'Asti which was quite decent. As the italian venues are starting to crowd into each other in Cambridge, we'll see what Luce can do to move outside the mob. Nice variety of pastas, grilled items, pizzas and salads complemented by an interesting wine list. Loved the chickpea fritters! Quick walk from Harvard Square area. The food was excellent. So was the service. But it was so noisy we will not be back. Very nice dinner for four . Quite loud, although a little better in a booth . Food was excellent . Artichokes and asparagus salad excellent appetizers . Swordfish main was very tasty and fresh . Various pasta dishes also very good . Especially enjoyed small cannolis . Service was efficient . Need a lower ceiling to muffle sound. Good food, service and ambience. Portions are too small for price point compared to similar restaurants. 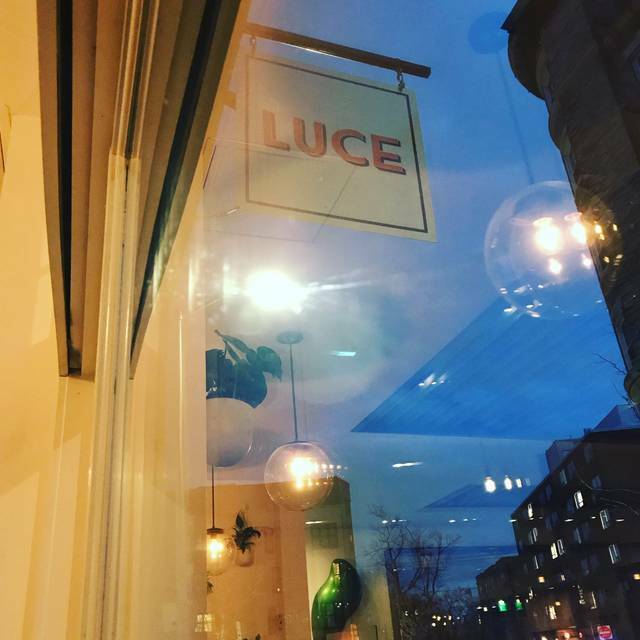 Luce is cozy, relaxing, delicious, and beautiful. We loved the warm atmosphere, the attentive (but not bothersome!) wait staff, the extremely tasty appetizers, calzone, and beetroot & ricotta pasta. Yum! & the wine by the glass was excellent, too. I loved Catalyst (Luce's earlier incarnation), and I'm sad that it's gone. 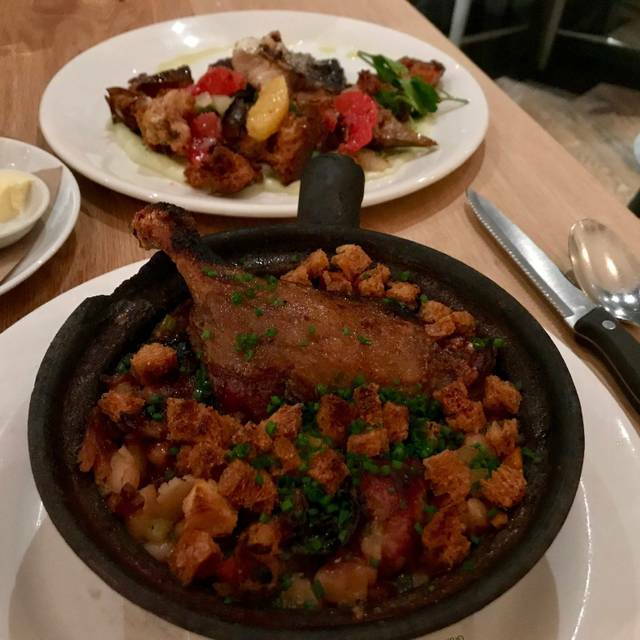 But I had a wonderful time at this more down-to-earth restaurant from René Becker - it's nice now to have this more informal restaurant in the neighborhood. We are already making plans to come back soon! This rebranded, upscale place (formerly Shepard) is coming into its own, with excellent wood-fired pizza, good (not great) pastas, salads, starters, and other Italo-standards. Nothing particularly creative, or exciting - and not a great value proposition (except for the four-course tasting menu). Good wine selection (warning: the special pours, called quartinos, are NOT the standard quarter liter - they're just a quarter bottle (i.e. one glass) - they need to correct this), full bar. Pleasant ambience. But come for the pizza, among the best in town: crispy on the outside, moist in the middle, holds up to toppings - more uniform in shape than most authentic pizzas. The hot oven is the secret. They forgot to bring out half of our dessert order (cannoli) and the part they did (gelato) was primarily melted. Soft, warm and unappealing. When mentioned to the wait staff they offered to replace (there was no selection for that to be a reality) but for this level of dining they should know better- either take it off the bill or don’t even bring something so tragic out. Plus food plating was terrible- zero beauty. We were happy to find out about a new Italian joint that is close to home. The food was great, and they had a fun spin on meatballs. Our entrees we paid the higher price to get more food, but it still didn’t feel like there was enough of it. Not sure if it was because it was an actual small portion or it was so good, I just plain out wanted more. Haha! The hostess and servers were all lovely as well. Looking forward to going back. I like the food at Luce. It is well prepared. I also like the "ambience." This was my second visit. While I enjoyed my dinner I was just a little disappointed because I keep to a dairy free diet and am pretty sure the last time I went the kitchen prepared a bolognese for me that was dairy free. This time they couldn't do that. But they did a good job accommodating me and I will definitely go back. And probably, to be honest, I had a more healthy meal and it was quite good. Saw that there was an 8pm reservation open, as well as more open reservations throughout the night so we drove by and stopped in. When we got to the host, she said that tonight wouldn’t work and they were too busy... basically turned us away. I then told her that open table had many reservations and booked one on the spot, which she then acted surprised, and reluctantly seated us. I found this type of “service” extremely upsetting, rude, rediculous, and unacceptable. Never coming back here, which is a shame because it has potential. Excellent food (truly outstanding risotto), great space, good service. The menu is short listing appetizers, pizza and pasta dishes with two alternative main courses ... but this is more than compensated by the quality of the dishes (we had one pizza, gnocchi and the risotto). until recently this restaurant was shephard; which served upscale new american cuisine with a lovely wine list. luce is shephard 2.0: it was meant to be a bit more accessible, and in terms of service and menu, it is. but luce suffers even more from the interior design of shephard: it's too bright, too austere, and too noisy. luce is branded as a more cozy italian restaurant, but it doesn't feel that way when you're dining there. hey the food was good (innovative menu) but not great. the service is an improvement over shephard—more friendly and less obsequious. the wine was exquisite and that's a major plus. i'll conclude by saying that like its predecessor, the food is way way overpriced given its competition (competing with giulia? really?) in cambridge. overall a disappointing experience considering the effort and the chef and service team. it would take a lot for me to want to go again. Good, but not as good as previous incarnations of this restaurant. Would probably choose to go to places just around the corner from my house rather than get in a car and go here. But service was good once they figured out that our wine was delivered well ahead of our food. We live in West Cambridge and invited a neighbor couple to join us for our first time at Luce. We had a nice time. Our reservation was for 6 on a Friday evening. We were seated promptly and got our drinks. My husband got a small plate, fettucini with octopus, that he said was very good. I got a pizza prosciutto and the charred broccolini, and was quite satisfied, even though I gave away two pieces. Our guests liked it too. No complaints, although it was good that we got to sit on the side so it wasn't too noisy. I'm not sure we would have been happy if it were louder. Great! I like Luce a lot more than Shepherd. The menu is interesting Italian. Simply superb! The space & lighting is really beautiful, the staff are super friendly & knowledgeable, and the food is consistently delicious. Their beverage program is really great too! Who can beat a $16 glass of Aubry?! I love that you can try different wines that normally wouldn't be offered by the 1/4 & 1/2 bottle from the "Tonight's Pours" list, too. Good vibes at Luce. Just the same as old Shepard... terrible service, rude, uninspired food, and over priced. Do not go! Food excellent, service uneven- attentive at times, no bread? !, hostess moved us to quieter table- much appreciated. Will return as menu appealing. Good food but a very limited menu. Please add some dessert that's not frozen. Not everyone enjoys gelato on subzero wintry nights. We really love this new local neighborhood spot. The menu is creative, while offering some classic Italian dishes with twists. Portion sizes are adequate. We have dined here 3 times since it has opened. Our only suggestions are 1) to offer bread before dinner 2) have a better variety of desserts. The omission of both of these is surprising, since it is affiliated with Hi-Rise Bakery/Cafe. We had an excellent experience at Luce. Can’t say enough about the food, cocktails, service, and atmosphere. So happy that we found this restaurant! Lovely vibe, great service, surprisingly good food and reasonable prices! Rude and dismissive waiter who had difficulty explaining portions listed on the menu. Expensive for the amount of food we ordered. We were hungry when we returned home. This is a neighborhood gem. Best chef and bartenders in Cambridge! Great team all around makes for a lovely dining experience. We are regulars. Exceptional, world-class cooking. These guys are perfectionists—the food is simple and absolutely delicious. Share a pizza and one other dish to get a good sampling of the menu. The downside is that it’s a little bit too expensive for pizza and pasta, even if it is the best! Great food- awesome sorbet, friendly staff and nice ambiance. Still a little pricey. One pasta dish was good. One was mediocrely. Would like to see chicken on the menu. Delicious Italian with new flair. Tasting menu was a great treat at reasonable price. Has a real neighborhood bistro feel with no fuss. Noise was more than I like but felt less pretentious than previous restaurant in the space. The fava bean and artichoke apps were surprisingly delicious! Pizza had a nice balance of thin and doughy with interesting toppings. Risotto was amazing- bone marrow took it to the next level. And chocolate sorbet is to die for- gives you that dark chocolate hit without the guilt (I tell myself atleast). Definitely plan to come back and encourage others to as well! The menu was a good example of finding the right choices for the right audience. We were 3 guests and tasted one another's dishes. All showed care in preparation and the use of fine ingredients. It was a happy sight to see so many others enjoying themselves, as did we! Strange meal. We’d been before and liked it but this time the oysters were served with beets? Strange and not in a good way.and a pasta with pesto used a bizarre cheese that was just inedible. The waitress noted we left both dishes uneaten and just shrugged when we said they were not good. I’d love this place to succeed as we are neighbors, but they need to taste the items and make sure they are not overreaching. Good solid food is what we need.